A few months back, before the polar vortex had fully melted away, signs of spring began popping up in my mailbox in the deluge of clothing catalogs promising that it would not be cold forever. This proved to be a good distraction for the weather, since any good fashionista mama knows that we must buy at least 3 months in advance for each season-- God forbid we get the random 75' day in a week of highs in the 40's and we be caught without an appropriate outfit. In the midst of all of the spring and summer goodness, I was confronted (or should I say affronted) by an unwelcome sight. Spreads of swimsuits for little girls that looked like they belonged on Baywatch. String bikinis, triangle tops and deep V-cuts for LITTLE girls. These images were in a high end children's boutique catalog, but as I started looking at all of the regular, everyday places-- I came to the realization that these styles were prominent everywhere-- ESPECIALLY once your little one has outgrown the baby and toddler sizes. There is a point in infancy, where baby chub is in its prime and you have to separate the rolls on your daughter's legs just to bathe her-- a sweet, tasteful polka dot bikini on this chubba wubba goodness is downright adorable. But as our babies grow into toddlers, little girls and young women, I know I feel a need to protect their innocence. After voicing my concerns on The Well Styled Child Facebook page, I know I'm not alone in my thoughts on this matter, so I wanted to devote a post to beautiful and practical swimwear! We do daily swimming lessons so we go through suits fast and have quite the stockpile. For us, it's important that suits are functional, fit well and stay put in the water. I like swimsuits that stand the test of time-- that look as good at the end of the summer as they did when I purchased them. Of course I want adorable and flattering styles too! So many of us who invest in Matilda Jane and Persnickety do so because we want clothes that make our little girls look like little girls. Why throw it all out the window when it comes to swimwear? Now before I go into all of my favorites, I do want to quickly address the Target swimsuits. I have been seduced by very cute $8 swimsuits. You can often find some adorable and modest looking styles in the baby and toddler area. However, with very inexpensive swimsuits, my repeated experience has been that they fit very poorly and give constant wedgies (just being honest). If your little one is just playing in the creek or just swimming in your backyard, this might be all you want or need. What ISN'T worth it to me is that over and over again, Target (and some other inexpensive brands) have bled all over the wash and bright colors have run just sitting wet in the laundry room. I'm not covering any Gymboree suits in this post, but if you want an inexpensive great quality, modest suit-- they are definitely worth checking out. I've gotten several suits there for under $15 and they still look brand new-- even years after the fact. Last year was my first year ordering from Garnet Hill and I couldn't be more impressed. I like really cute, fun, vibrant suits and these are definitely that. The quality, workmanship, fit and material are all top notch. The suits we had last year (which still fit great this year) still look brand new. I also like the coordinating swim headbands the swim bucket is a must have! We received our's free with purchase last year, but it is a collapsible bucket with holes in the bottom that is PERFECT for swim toys! Sizing: I felt like the one piece suits were very true to size. The 2 piece suits seemed to run big to me. Holiday has a long torso, so I size up in 1 piece suits. She is wearing a size 4 in the purple/pink rugby stripe and the pink polka dot one piece. In the chevron 2 piece she is wearing a size 2. For reference, she is 3.5, 29 lbs and 38.5" tall. This is our first year purchasing LoveULots and so far, so good! I first spotted this mermaid swimsuit at Nordstrom in February and it is beyond adorable in real life! I love the side skirted details on the bottom and the starfish applique is very soft and not bothersome. Sizing: Everyone told me to order up at LEAST one size in this suit and many suggested even 2 sizes. Since I normally would have ordered a 4 in the one piece, I went up to a 5 and it is too big, we definitely needed to size back down to the 4. Janie and Jack consistently has adorable, high quality, vintage classic swim styles each year. Their adorable coordinating accessories are a must have if you're going to buy a suit! Sizing: True to size. If you don't already know this, even though in store Janie and Jack caters to smaller sizes, they go up to a size 12 online! Several of their current swim styles would be perfectly chic on older girls too-- heck, I'd wear some of them if they came in my size-- love the vintage flare! We're going on year 2 of this adorable terry cover-up I had made from iheartthenest (Etsy). They are appliqued, embroidered Circo (Target) cover-ups. In the south we monogram everything and this cover-up is totally adorable with all of the rickrack and detail! Photo from iheartthenest Etsy page. 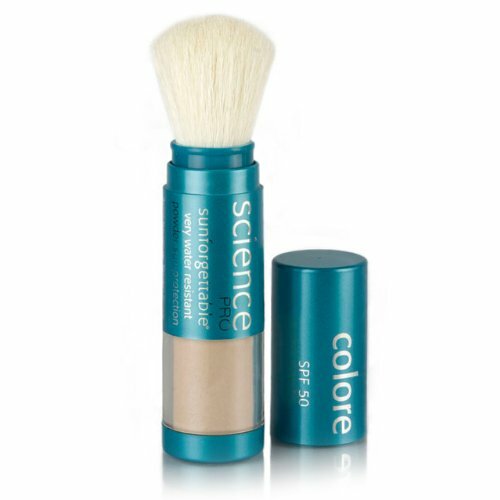 I have to take a moment to plug what I believe is THE most amazing sunscreen ever-- Colorscience Sunforgettable. You can read a lot of great information on this product here. Don't let the price scare you, one tube will last my little family all summer long. This is a powder sunscreen and is VERY effective. It is the only suncreen I use on Holiday. It's sheer and is easily applied and re-applied over makeup. No sticky, stinky sunblock-- this is all you need! I am very fair skinned and burn extremely easily and have never burned wearing this product (I think I'm going on a good 4 years of using it). If you click on the image below, it will take you to the Amazon page to order, get details and read reviews. I purchased this bag at the start of last summer from a friend who was selling Initials Inc. It is called the One Trip Wonder bag. You can order online at initials-inc.com/shop I have used this bag relentlessly and it still looks brand new. It can easily hold towels and swimsuits for a family of six, swim toys and probably a small child as well. I cannot say enough good things about it. For a family who swims as much as we do, a good swim bag is worth its weight in gold! There's no two ways about it, Pottery Barn Kids had THE best beach wraps! Be sure to get the wrap (with the hood) and not just the towel! They are on sale online right now and have FREE SHIPPING! If you haven't already been introduced to the wonders of the Itzy Ritzy Wet Happened Bags, you can thank me later! I recommend getting the XL (11x14 bag)-- it's big enough for a single wet rolled up towel and swim suit. I keep several in our swim bag and stuff with our wet clothes and suits so everything else in my bag stays dry. They come in tons of colors, patterns and sizes. I am the person who everyone sends all of their shopping questions to. I get calls, texts and emails on a daily basis that read something along the lines of, "You always know where to find everything, where can I find ______?!" Fill in the blank! I'm like the full time concierge for my friends and family. Everything from party supplies to Chesterfield sofas to glitz pageant swimsuits and origami wedding invitations-- I may have never before shopped for it, but I usually know where to find it. BUT THE ONE QUESTION I HEAR OVER AND OVER IS THIS- WHERE DO I FIND CUTE BOYS CLOTHES!??! Especially after my last blog post, Boutique on a Budget, my inbox was inundated with mamas asking that very question. 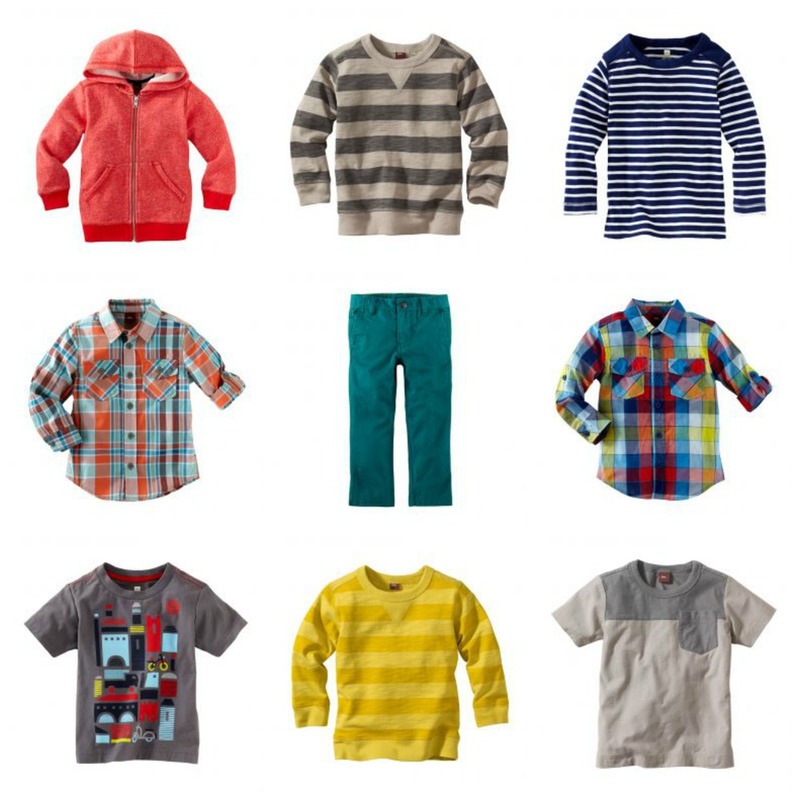 Even though I only have a daughter (so far), I'm always keeping my eyes open and making a list of designers who make boy's clothing that resonates with me and my style! Several of my mama friends have only boys and so many times when they see Holiday decked out in her latest get-up, they will sigh and say, "Oh, she makes me want a girl. There just aren't cute clothes out there for boys!" Now I will be the first to admit that there are WAY MORE options out there for girls clothing than there are for boys-- this cannot be denied. But when you really think about it-- the same is true for men in general! When I look at my husband's side of the closet (well, quarter of the closet might be more accurate), I see many variations of the same things-- jeans, t-shirts, button-downs, polos, sweaters and jackets. Granted, he is a Silicon Valley IT Nerd so his wardrobe is quite casual, but still, there isn't much variation in men's clothing in general, so it's kind of easy to see why the same holds true for boy's clothing as well. But rest assured Mamas, MORE options do exist! There are some brands you've likely never heard of that might just be right up your alley! One of the benefits in the lack of variation in the male wardrobe is that there's not so much disparity between high end and lower end options. With my daughter's clothing, I can pick up a garment and understand why it costs more with the level of detail, workmanship, fabric and embellishments that it was created with-- but that's not quite as common with boys clothes. Now don't get me wrong, even though you see very similar looks between high and low end boys clothing, I know there can be a distinct difference in quality and workmanship. But I also know (from my very scientific research at the Chickfila play area) that boys are just wired differently. They will inevitably be hard on their clothes and it might not make as much sense to invest into their wardrobes when you can get a similar look for less. That being said, I attempted to cover a wide range of prices and budgets. 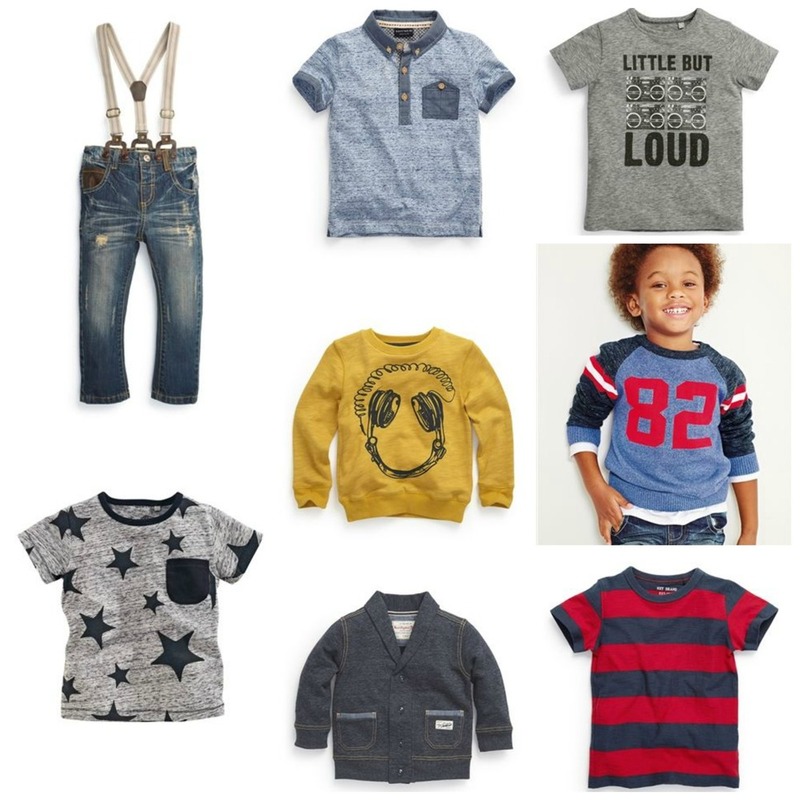 There are obviously some popular, everyday mall brands that have great pieces, but my goal in this post was to hopefully introduce you to some new brands and new ways to style your little dudes! *All of the brand names listed at the top of each section are direct links to shop!